Dr Nadine McKillop is a lecturer in Criminology and Justice and Co-Leader of USC's Sexual Violence Research and Prevention Unit. Also a psychologist, Nadine worked with both offenders and victims within criminal justice settings before entering academia. 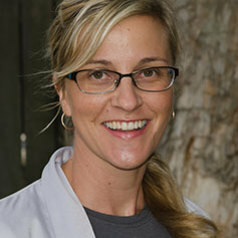 Her research interests include understanding and preventing sexual violence and abuse, the assessment and treatment of youth and adult sexual offenders, as well as factors associated with the onset of youth and adult offending to reduce the extent and impacts of sexual violence and abuse in the community. Nadine is an adjunct Research Fellow with the Griffith Criminology Institute and Honorary Research Fellow with the Centre for Advances in Behavioural Sciences, Coventry University.